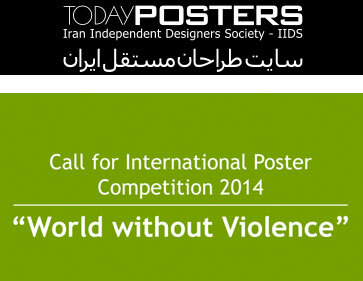 The results from the World without Violence international poster competition are here! The competition received 1255 posters from 33 countries around the world and the jury selected the 99 best entries to be exhibited. The jury was formed by Ahmad Aghagholizadeh, Onish Aminelahi, Arash Tanha, Elvira Bojadzic, Enric Jardí, Fang Chen, Alireza Hesaraki, Hassan Mousazadeh, Mohammad Khazaie, Ali Mirfattah, Majid Kashani, Kourosh Parsanejad, Pekka Loiri, Rene Wanner, Rasoul Sadrameli, Mohammad Saber Sheykh Rezaei, Sebastian Kubica and Ali Seylan. Below are the names of the posters pre-selection. Congratulations to everyone from the Poster Poster team!